Project GD STI- Keeping Cool with Greddy and Koyo! 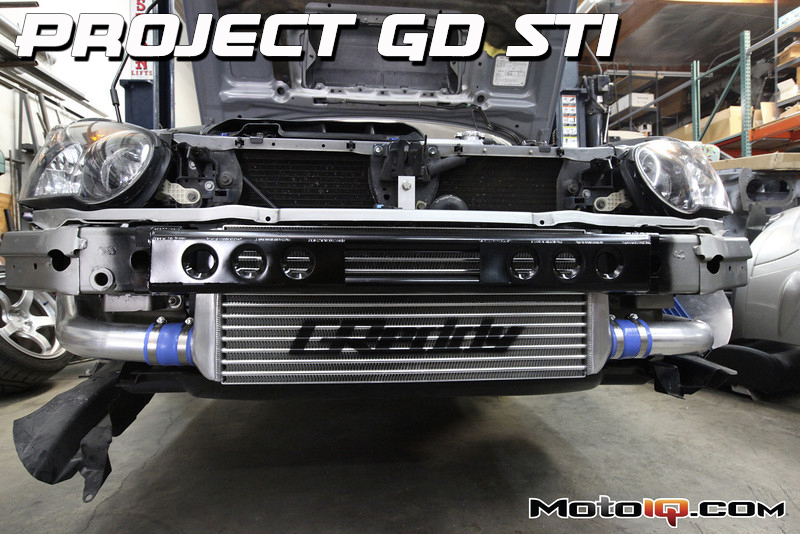 Project GD STI- Keeping Cool with Greddy, Cobb and Koyo! At this stage in the modding of Project STI's engine, it is time for us to lay down some base parts to support our plans for more power later. One of the weak points of the Subaru intake tract is its top mount intercooler or interheater as some call it. It is pretty ineffective at cooling the charge air as it sits in a heat chimney right over the engine. It is fed by a large scoop but air only flows through it at speed. This makes for irregular intercooler effectiveness. The top mount intercooler is a legacy of the car's rally heritage where the Subaru engineers wanted to move the intercooler out of harms way. Interestingly enough the last generations of Subaru's WRC car had front mounts. Like the WRC cars we had to go with a front mount intercooler. Greddy came to our aid here. Since we are after balanced performance, we could not just stop with the front mount. We had to add some peripheral things to optimize our intercooler install. Since the intercooler impedes some airflow to the radiator, we installed a Koyo racing radiator to keep our temperatures in line. We also installed a Greddy oil cooler and a Synapse adjustable BOV. A Cobb intake also was used to make room for the intercooler plumbing. Finally some custom fabrication was needed to clean things up as well. The end result was a really sanitary set up that will support more power in the future and help reliability in track and other hard use. Check out what and how we did it all! Read more about Project GD STI here! 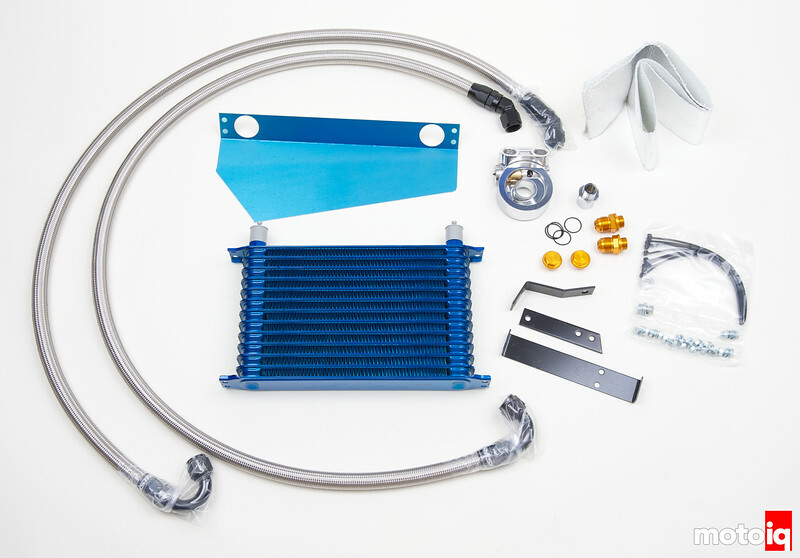 The Greddy front mount intercooler kit uses a high quality tube and fin heat exchanger. It is moderately sized which is good for around 400 hp. 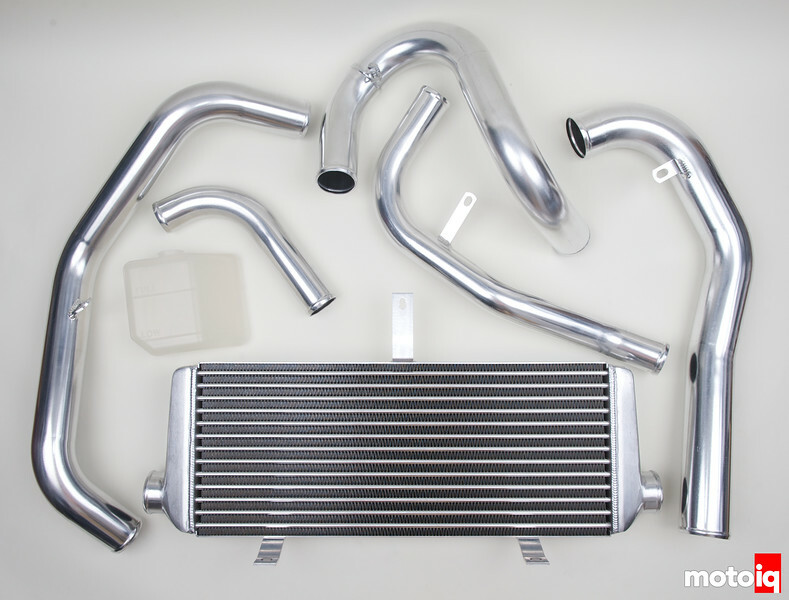 We have found that really large intercoolers lose power and increase lag in moderate boost, pump gas applications. We generally like thin core tube and fin heat exchangers for applications where the car is in motion at higher speeds when under boost because they are lighter and work well with good air flow. They also allow more air through the core for the radiator. For applications like drag racing where the car is under boost at low speeds (like during burnouts and launch) bar and plate intercoolers work well due to their much higher thermal mass. The Greddy intercooler kit comes with lightweight high quality aluminum piping and a new lower profile radiator overflow tank. 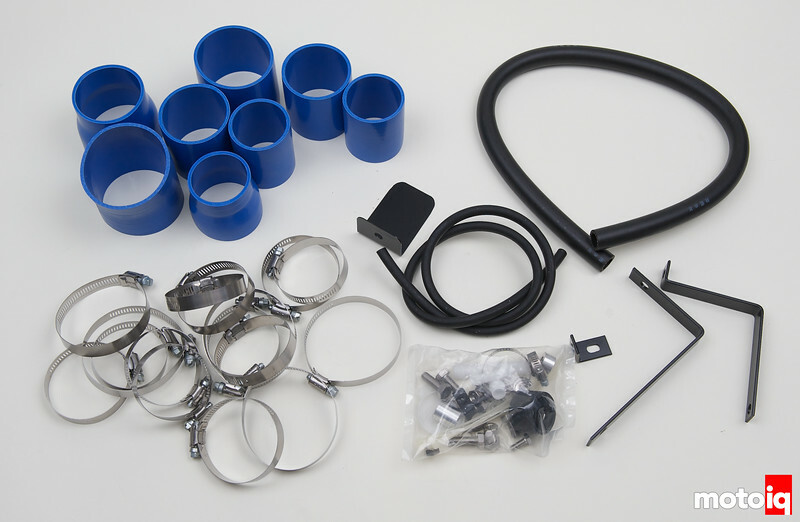 The Greddy kit comes with all fasteners, brackets, couplers, clamps, hoses and hardware needed for a clean installation. Since oil is used to lubricate and cool the hot turbocharger, most turbo cars come with a large oil cooler from the factory. Our Subaru surprisingly only comes with a small oil to water cooler that uses engine coolant to keep the oil cool. We think that this is pretty inadequate for any sort of hard use. We opted to use Greddy's side mount oil cooler kit. The Greddy kit has a large high quality heat exchanger, braided steel lines, AN hose fittings, an air baffle, brackets and a filter adaptor bracket. The Greddy cooler retains the stock oil cooler and supplements it. Since the Greddy intercooler kit does not have a compressor bypass/blowoff valve, we used a Synapse DV. 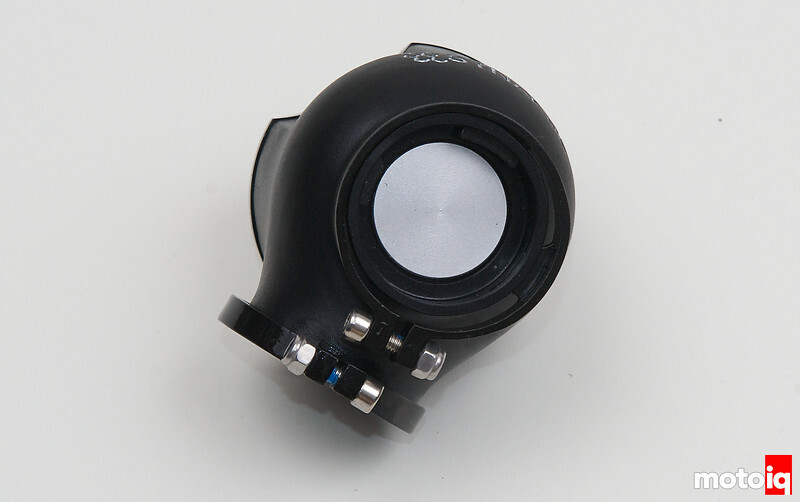 The Synapse DV is a highly versatile and tunable valve that uses a multi substrate piston. The substrates have different surface areas so you can tune the valve's response time by using different vacuum ports. The DV has no diaphragm that can fail and has a super fast 25 millisecond response time. The valve preload can also be adjusted. The DV can be set up for push, pull and push/pull activation as well depending on how you configure the ports. The DV is also highly leak resistant when subjected to boost pressure. 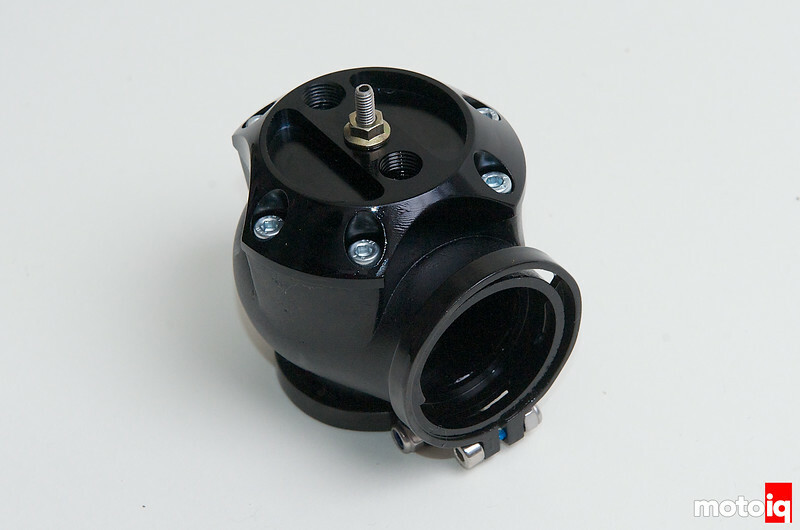 The DV has a large valve with a direct air path for good flow which can help reduce compressor surge when compared to conventional blow off valves.